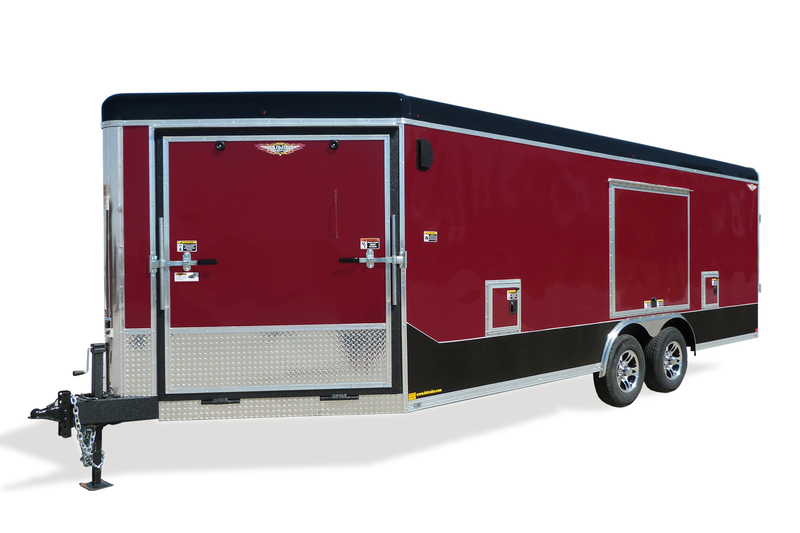 The ultimate toy hauler is the Combo Hauler. 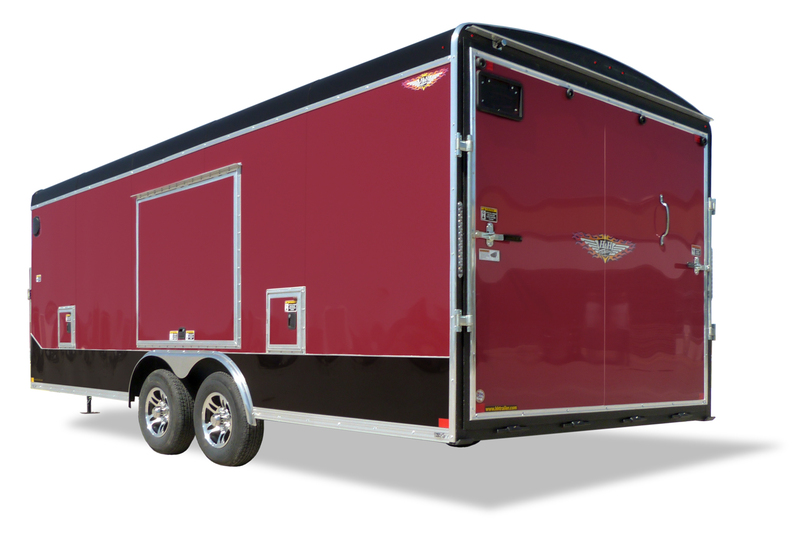 It offers the space to haul your prize car or several recreational vehicles. Load snowmobiles in from the rear gate and out the front gate. Use it to haul your race or show car in the rear cargo space and your golf car in the nose. Proven to perform and designed to outlast, no matter what the use. 101" x 20' 14K 6'-0"
101" x 24" 14K 6'-0"
101" x 20' 14K 13"-17"
101" x 24" 14K 13"-17"
101" x 24" 14K 16"
101" x 24" 14K 68"
101" x 24" 14K 36"
101" x 22' 74 1/2"
101"x 22' 14K 74 1/2"
101" x 24" 14K 74 1/2"
101" x 24" 14K 95"
101" x 20' 68 1/2"
101" x 22' 68 1/2"
101" x 24' 68 1/2"
101" x 20' 14K 68 1/2"
101"x 22' 14K 68 1/2"
101" x 24" 14K 68 1/2"
101" x 20' 59 1/2"
101" x 22' 59 1/2"
101" x 24' 59 1/2"
101" x 20' 14K 59 1/2"
101"x 22' 14K 59 1/2"
101" x 24" 14K 59 1/2"
101" x 20' 14K 26'-9"
101" x 24" 14K 30'-9"
101" x 24" 14K 102"
101" x 20' 14K 106"
101" x 24" 14K 106"
101" x 20' 14K 24'-11"
101" x 24" 14K 28'-11"
101"x 22' 14K 98 1/2"
101" x 24" 14K 98 1/2"
101" x 24" 14K 82"
101" x 20' 22 1/2"
101" x 22' 22 1/2"
101" x 24' 22 1/2"
101" x 20' 14K 23 1/2"
101"x 22' 14K 23 1/2"
101" x 24" 14K 23 1/2"